Dave_Mc and tokareva like this. Dave_Mc, tokareva, isti and 1 others like this. Dave_Mc, cuthbert, tokareva and 3 others like this. rothko, Dave_Mc and tokareva like this. sideways2, Shabby64, Tarquin and 7 others like this. Have I already posted my last modded Amphibia? Shabby64, Dave_Mc, tokareva and 1 others like this. Green Scuba Dude. Green Zulu. tokareva, Dave_Mc and MonTex like this. 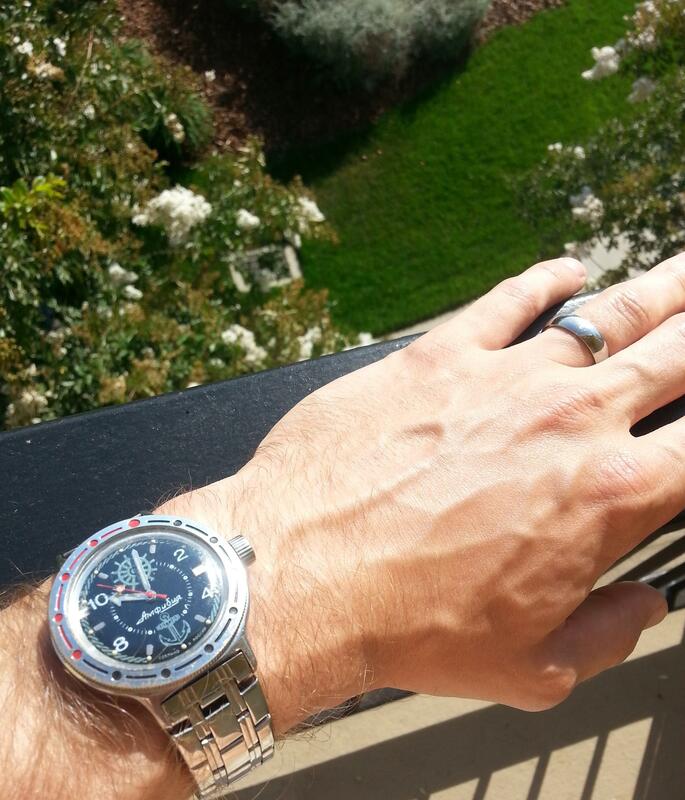 Last minute watch change for my wedding yesterday. 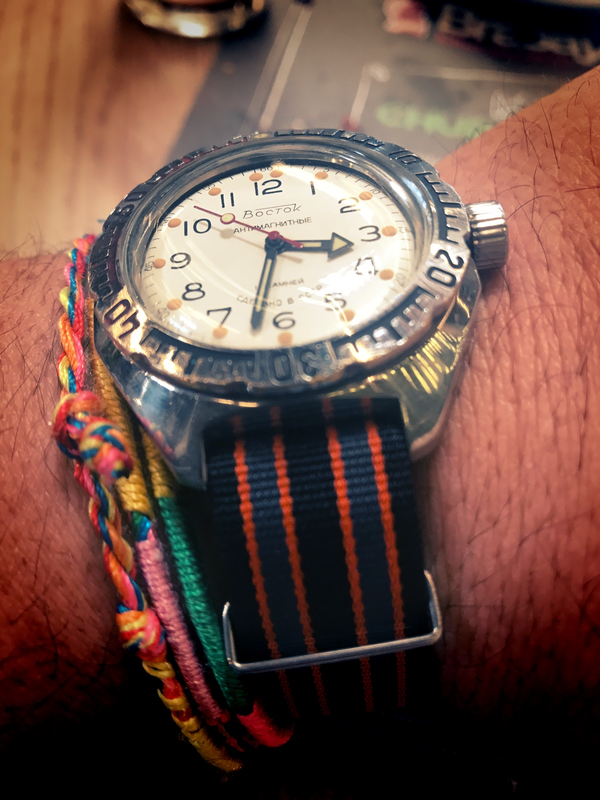 Was going to go with my "nicer" watch that I had no straps for, got a last minute strap for it and then realized it had a gold buckle which completely clashed. 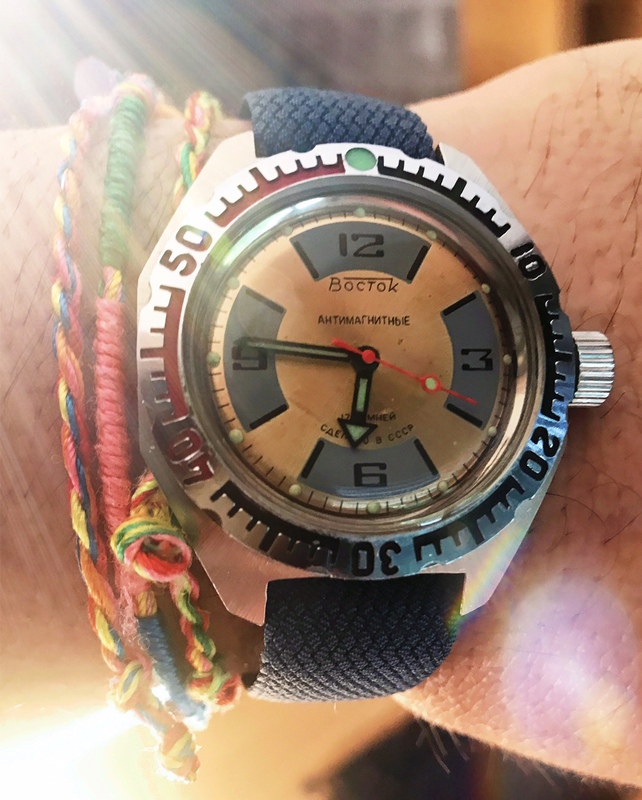 So threw the ever classy Vostok bracelet on the Zissou Amphibia for the memorable night. edit: do I get bonus points for foot in background? Last edited by GoodEyeSniper; September 12th, 2017 at 03:02.
larand, Shabby64, mroatman and 7 others like this. 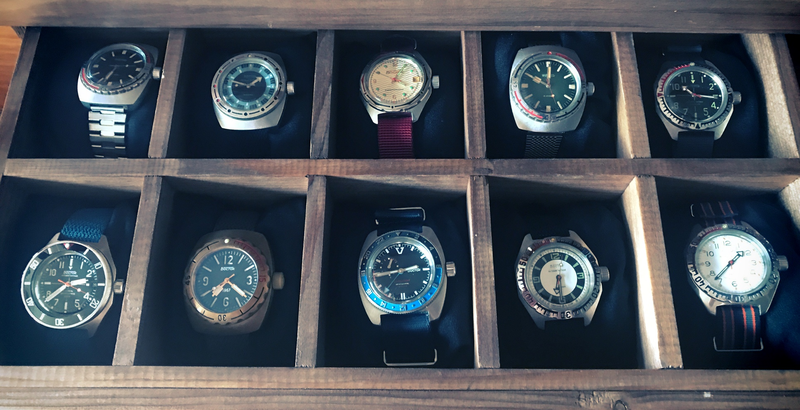 Show me your vintage Amphibias! 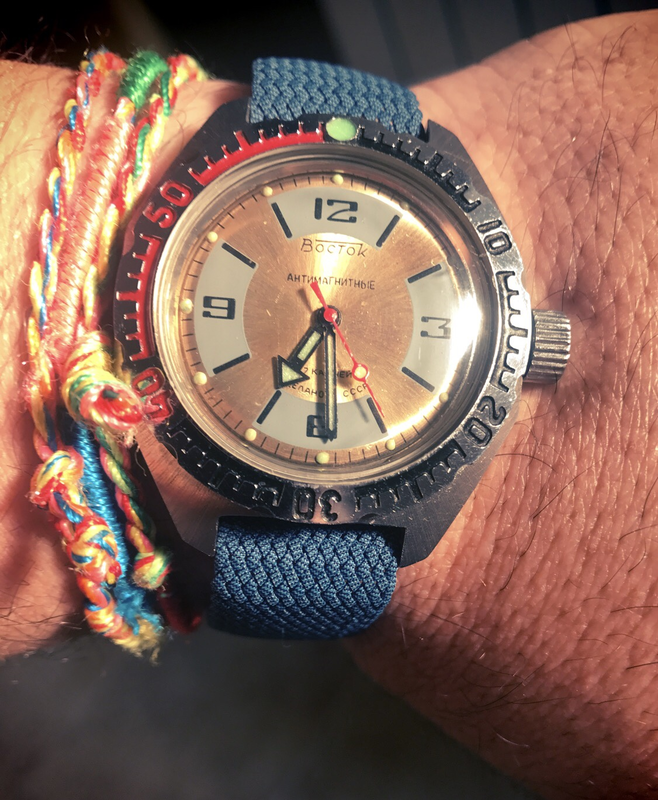 Please show your BLACK Vostok Amphibias?